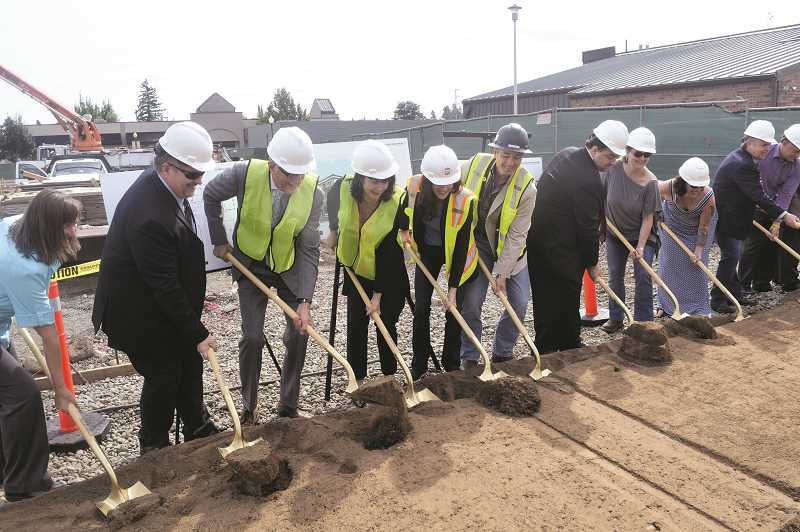 City officials and developer Mary Hanlon, along with other investors, held the official ceremony breaking ground on The Dahlia Building, which will house 69 apartment units downtown on the old civic block. "Today has been a long time coming," Mayor Brian Hodson said. "This is a transformational project for our downtown. It will provide a tremendous economic boost."